I’m about to show you how it’s done. 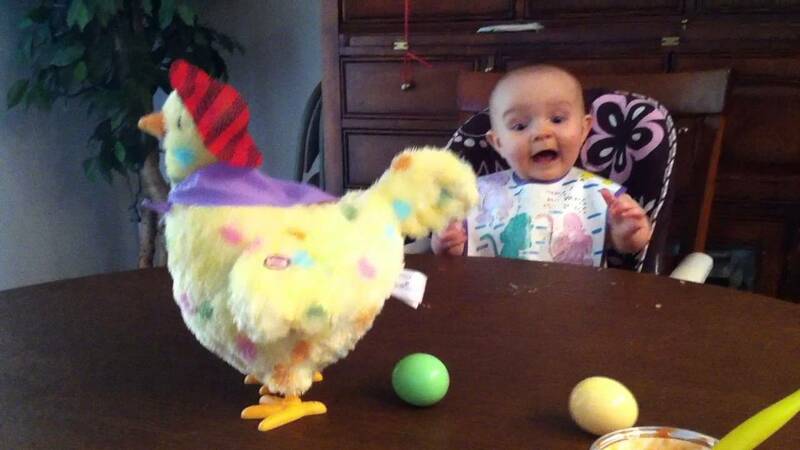 Layin’ eggs is so much fun. There’s an egg over here, an egg over there. Throw your beak in the air. Squawk a laka, squawk a laka, squawk a laka. 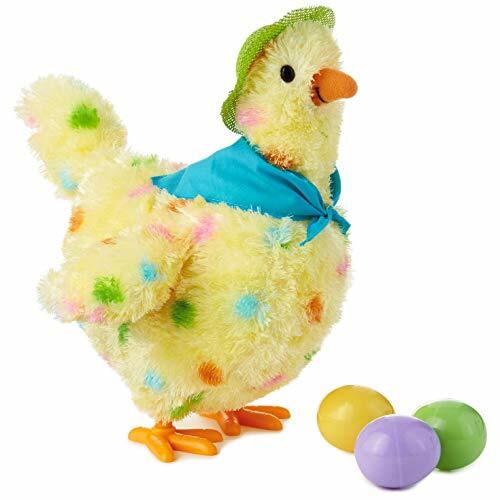 Mama Hen is back again with a squawk and a walk that's sure to crack you up this Easter! Press the button to see her lay eggs as she bobs up and down and sings a parody of "Whoomp! There It Is." Includes three colorful, plastic eggs. Fun interactive stuffed hen features sound and motion; measures 9" wide by 10" tall by 10.5" deep. Lyrics: "Mama Hen, back again. Squawkin', walkin' let's begin. I'm about to show you how it's done. 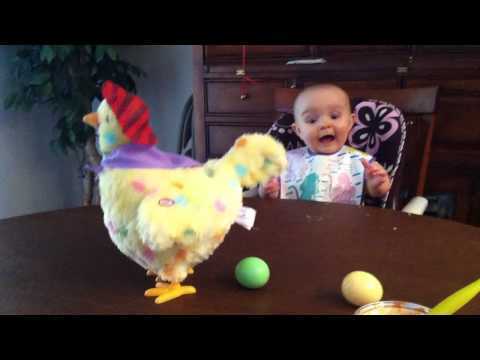 Layin' eggs is so much fun. SQUAWK! There it is. There's an egg over here, an egg over there. Throw your beak in the air. Shake your derriere. SQUAWK! There it is. Squawk a laka, squawk a laka, squawk a laka. SQUAWK! There it is." For ages 3 and up. Includes three AAA batteries. Made with plush fabric and plastic. For use with provided eggs only. For Use with Provided Eggs Only!